Do you split test the opt-ins on your website? 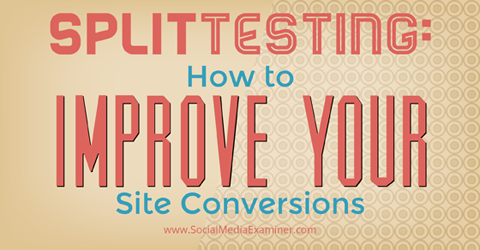 To learn how to create effective split tests, I interview conversion expert Joanna Wiebe. In this episode I interview Joanna Wiebe, a copywriter, conversion expert and founder of CopyHackers.com–a website designed to help you improve your conversions. She’s the author of the Copy Hackers ebook series. Today Joanna will explore how split testing can help improve your email opt-ins and much more. You’ll discover how to alter your headlines and buttons to improve your website opt-ins, as well as what tools to use to analyze results. Listen as Joanna Wiebe shares how to improve site conversions with split-testing. A couple years later, Joanna went over to Intuit (makers of Turbo Tax) as senior copywriter. Once there, she says she finally figured out what copywriting was … and understood that it was not boring! Joanna explains the difference between a creative writer and a copywriter. A creative writer is a person who is more likely to come up with tag lines and concepts for ads and campaigns. It’s someone who abstracts a message from insights. On the other hand, from Joanna’s experience a copywriter is more of a scientific writer. Copywriting is not about you. It’s about listening to people who are potentially nothing like you to find the right message, she says. Joanna started Copy Hackers three years ago. According to Joanna, split testing became more readily available eight or nine years ago, and testing tools, like Optimizely, VWO and Omniture (before it was acquired by Adobe), were starting to pop up. So the company started split testing different approaches to solving problems. They would test them using actual data: website visitors or email subscribers helped them test by voting with their clicks or their credit cards. This led Joanna to start Copy Hackers about three years ago. Listen to the show to discover how creativity stifled Joanna in her first position as a writer. Copy Hacker’s ad at the bottom of the screen. To capture email addresses Joanna uses a solution called Bounce Exchange. They have been experimenting with ways to get people’s attention. There’s a little guy in the corner of the website and it says “Click here to get a free guide.” It appears as you’re scrolling down the page. Once you click on it, it gives you the opt-in box. Bounce Exchange is software presented with a service, Joanna explains. For best results, you work with their creative team and they come up with variations. 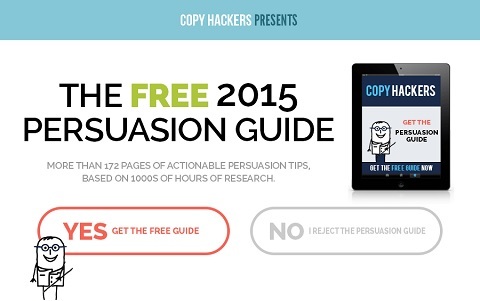 They split tested different content and “The Free 2015 Persuasion Guide” got the best response. Now they are testing different messaging for the guide, as well as ways to get people to opt-in. Listen to the show to learn what other content Joanna tested against the persuasion guide. Copy Hacker’s exit intent popup gives readers a choice. Joanna says this king of messaging is about having your audience make a decision between a choice and a consequence. Sure you can give people a choice, Joanna explains, but when you show them a consequence, things change. This is what teachers do when they are trying to get students to do things. When Bounce Exchange first came out, Copy Hacker wrote a post about the negative messaging. In response, Bounce Exchange reached out to them about working together. With this new messaging, Copy Hackers went from 50 signups a day to around 200 a day. Listen to the show to discover the logic behind making your audience click before they get to the opt-in page. Joanna suggests people start by testing the offer and then get into the headlines. When testing, you’re are not just trying to get a winner. You’re trying to learn. Even if the test loses, you still win if you learn something, because you started the test right. For their popup, Copy Hackers started by testing three different offers against each other. The control was what was currently up there, and then they tested variations. Joanna suggests hypothesizing why the control (the original offer) isn’t pulling in subscribers. Then, ask a series of questions to create variations. Brainstorm variations to test. Images: Shutterstock. Does The Foundational Guide to Copywriting sound boring? Should we write a headline that sounds more exciting? Is it that website visitors are not interested in The Foundational Guide to Copywriting because they are not that interested in copywriting? Are they interested in something that’s sexier? What is that sexier thing? Maybe it’s persuasion. Once you have that initial research question sorted out, you can quickly create the right headlines and the right buttons to test. Listen to the show to hear ideas of images to test if you have an ebook offer. Joanna says you need to have a decent amount of traffic to test. If you’re only exposing a variation to ten people a day, you’ll have a difficult time running a test to the point where you’re confident in the results. The downside of stopping a test before you reach significance is you have a false positive. In that case you didn’t really test. According to Joanna, some people say you should have 500 conversions per variation before you shut the test down, which is very difficult for most businesses to do. Joanna suggests aiming for 100 conversions per variation before calling a winner. Aim for 100 conversions before you declare a winner. Image: Shutterstock. If your results look really good and there’s a significant enough difference between variations, there are tools available. For example, Evan Miller has calculators that tell you if a test is ready to complete or not. Optimization testing never stops, Joanna believes. There are so many different things you can test. One approach is to test one element at a time. More often than not, elements (like a button and a headline) are working together. So, if you’re only optimizing the headline or you’re only optimizing the image, you’re missing out on more that could be done if you optimize two together. One option is to do stages of tests. First, you do an A-B test of two headlines. Then the winner is the new control and you test two different buttons on that headline. Joanna talks about how she conducted a split test in stages for Dressipi. The first headline was tame and the second headline was a little riskier, so they expected the second one to do better. It trended better but never reached confidence. Joanna tested a tame versus a risky headline. Changing the button made all the difference for conversion. They got incredible results: 123.9% lift in clicks with 100% confidence with the new headline and button. Listen to the show to learn about multivariate testing. Joanna believes the button is the most obvious element to test. You run a test with a goal and the goal is usually to take some action, which needs to be completed by clicking a button. 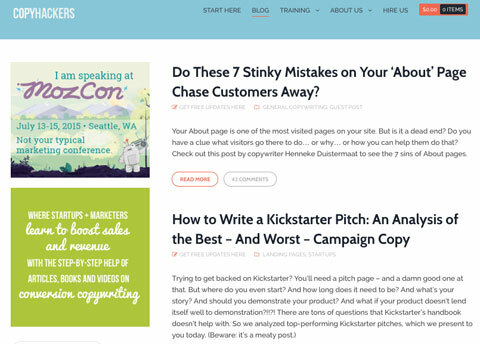 It’s also easier to run a button copy test, because your readers need to take an action. A headline is more difficult to measure. There are two things Joanna suggests people can do to create button copy to test. “Take the phrase “I want to” and whatever follows that becomes your button copy,” Joanna says. Joanna’s second recommendation is to have a call to value, rather than a call to action. People don’t want to click to, “Learn more.” It’s an action. People don’t go online to click a bunch of things, they are there to solve a problem or get value for themselves. Listen to the show to hear more about the conversion tools mentioned. The Chrome extension Dropbox for Gmail links two of my favorite tools. Install it in Chrome and, when you write a message in Gmail, you see a Dropbox icon with all the formatting tools. Open up the Dropbox window, and you can see all of the folders and files and you can add them instead of files from your computer. It eliminates a couple of steps of how you would ordinarily attach a Dropbox file to a Gmail message. 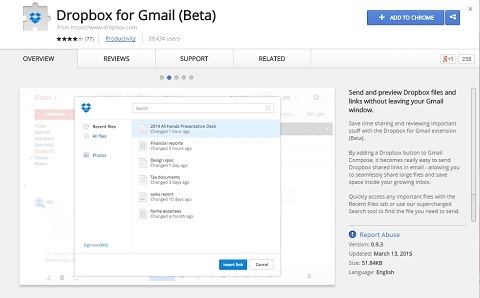 To find Dropbox for Gmail, go to your Chrome browser and search extensions. Listen to the show to learn more and let us know how Dropbox for Gmail works for you. It’s the world’s largest social media marketing conference. 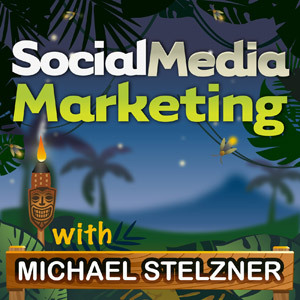 This podcast is being posted on the final day of Social Media Marketing World 2015. If you missed the event and still want to experience it, for a couple more weeks you will be able to get the virtual ticket. It allows you to get access to every keynote, session and panel. Access the recordings, download the audio, watch the videos, look at the slide decks and consume the content. Click here to check out all of the speakers and the agenda, watch our video and grab your virtual pass. Connect with Joanna on her Copy Hackers and get the Free 2015 Persuasion Guide. Learn about Snap, their on-demand copywriting agency. Explore split testing tools: Optimizely and VWO, as well as Evan Miller’s testing calculators. Check out Bounce Exchange and Lead Pages for landing page testing. 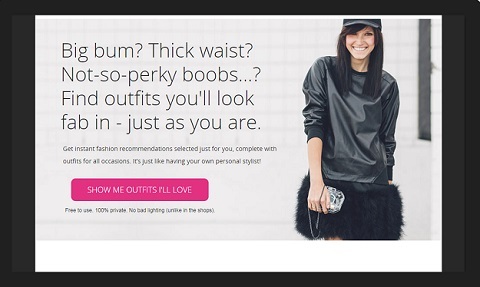 Read Copy Hackers’s original thoughts on the popup trend, as well as their experience testing Dressipi. Check out Dropbox for Gmail. Listen to the Social Media Examiner Show. Learn more about Social Media Marketing World 2015 Virtual Pass. What do you think? What are your thoughts on split testing? Please leave your comments below. 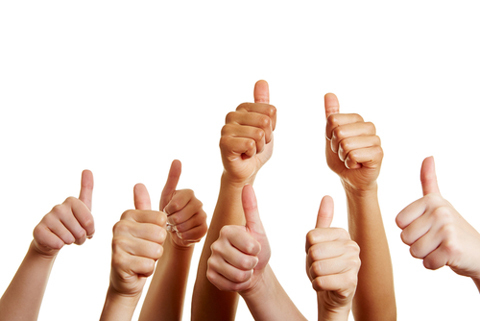 Thumbs up photo and Assorted variations photo from Shutterstock.